For a normal set up to the ball we have our feet shoulder width apart, this gives you mobility and balance for the full swing. But when you really want to notch it up a gear to hit the long BOMB from the tee, I want you to widen your stance a few inches. Keep the ball opposite the left heel and widen out the stance with the right foot. 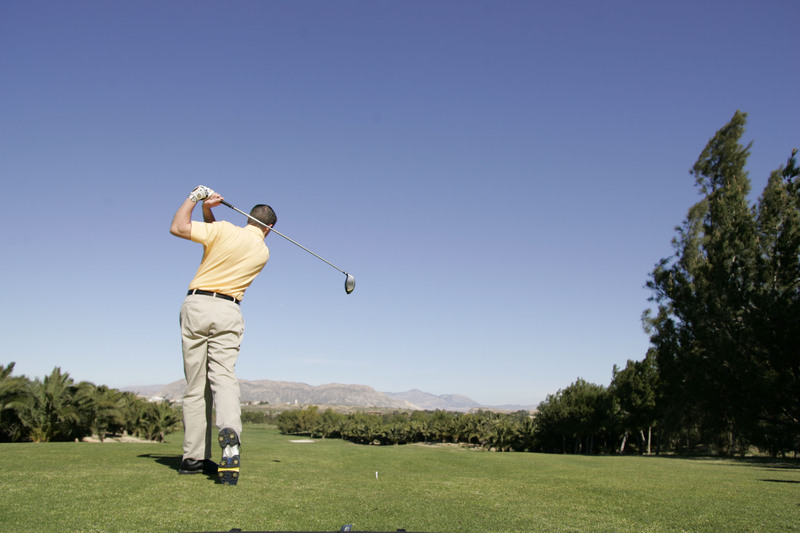 This will tilt your spine more behind the ball and will naturally drop your head more behind the ball as well. More weight will be felt down your right leg and into your foot; this is absolutely fine – just go with the feel of it. A typical fault that most golfers do when they are trying to generate more distance is to generally make the swing quicker- quicker in the backswing!! If this happens you rush to the top of the backswing, arms and body out of sync and a real poor short body rotation. This is a big power lose in a golf swing. Just concentrate on making a smooth backswing turning your shoulders fully, a good thought to have is to get your left shoulder behind the ball at the completion of the backswing. You need to shift your weight into your left side with a slight lateral movement before you start your rotation, this will drop your club on the perfect plane on the downswing, just slightly on the inside. Keep the body turn speed up and focus on keeping the clubhead accelerating into the back of the ball and all the way through to the finish of the swing. Enjoy the extra distance and enjoy bombing it past you’re playing partners.